The 2018/19 Champions League group stage kicks off in less than a week. As part of our coverage, we preview the groups that involve one or more teams of the Futbolgrad Network universe. Among the groups we preview is Group G, which includes CSKA Moscow, Roma, Real Madrid and Viktoria Plzen. 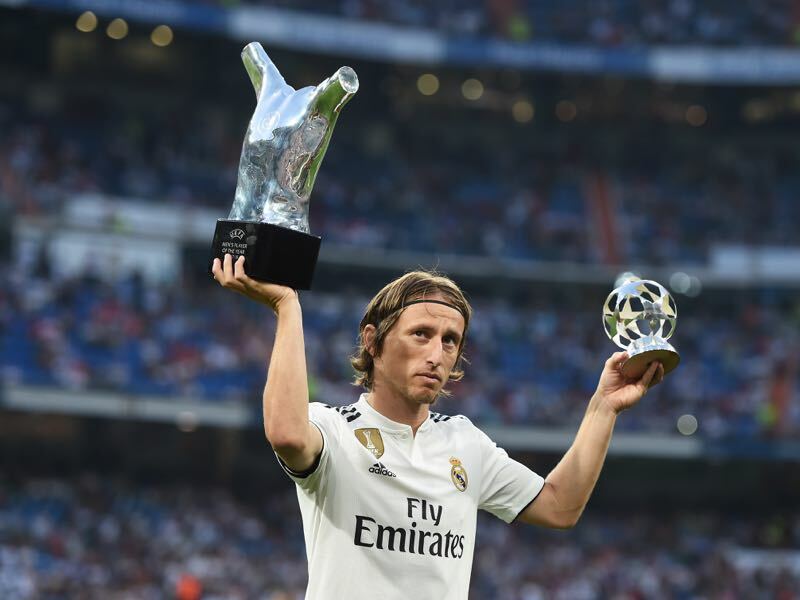 Dominated by Real Madrid for the last three years one of the significant questions ahead of this season will be whether the dominance by the Spaniards can be broken. On the Futbolgrad Network, we cover the Bundesliga, the post-Soviet space and the Balkans in-depth. Up next in our team-by-team break down is Group G.
Despite financial problems, CSKA Moscow were able to once again qualify for the UEFA Champions League by finishing second behind champions Lokomotiv in the Russian Premier League. In fact, last season was supposed to be a transitional year for the six-time Russian champion and qualification for the Champions League group stage can be noted down as a big success that will bring in necessary funds to rebuild the club. That transition period now continues as the club has gone from being one of the most experienced sides in the Russian Premier Liga to one of the youngest with an average squad age of just 23.7. Viktor Goncharenko is among the most talented coaches in the post-Soviet space. The 41-year-old became famous when he oversaw BATE Borisov’s shock victory over Bayern München in the 2012/13 Champions League season. A tactical genius Goncharenko has perfected the 3-4-2-1 system and is slowly but surely integrating young players from CSKA’s hugely productive youth academy. Although CSKA will be an outsider in this Group G, Goncharenko knows how to drag bigger teams down to his level by playing well organised defensive football with a quick transition game. Key player Aleksandr Golovin left the club for AS Monaco this summer. In his likely absence midfielders Alan Dzagoev and wing-back Mario Fernandes will be CSKA’s key players. The treble retirement of centre-backs Sergei Ignashevich and the Berezutskii twins, in the meantime, will leave a big hole in CSKA’s leadership structure. New signings Nikola Vlašić, Ilzat Akhmetov and Arnór Sigurdsson will try to fill the void left by Golovin as best as possible. Up front new signing Abel Hernández and young forwards, Fedor Chalov and Timur Zhamaletdinov are interesting prospects that are expected to make the next step in their development. This will be a tough season for CSKA in general and in the Champions League finishing third would be a success. It was another monumental season for Real Madrid in the Champions League. Los Blancos won their third Champions League title in a row establishing themselves as a modern dynasty. But the Champions League triumphs somewhat paint over the cracks of their lack of domestic success. In La Liga, Real Madrid finished third behind rivals Barcelona and Atlético Madrid just three points ahead of fourth-placed Valencia. Real were also eliminated at the quarterfinal stage of the Copa del Rey. In some ways, the current Real Madrid era mirrors that of the last teams that won Europe’s biggest club trophy three times in a row. Bayern won the competition three times in a row in 1974, 1975 and 1976 but during that period did not win a single Bundesliga title. It was, therefore, no surprise that head coach Zinedine Zidane stepped down after the final triumph against Liverpool as Real Madrid in some ways need renewing in order to be competitive on all fronts. Zidane is no longer. In his stead, Real Madrid hired Julen Lopetegui, who was previously in charge of the Spanish national team. His signing caused a major scandal, however. The Spanish football federation was less than pleased that Lopetegui had signed a deal with Real ahead of the World Cup and fired the coach on the eve of Spain’s opening game against Portugal. Up to that point, Lopetegui had done an excellent job with Spain renewing La Furia Roja evolutionising Spain’s football to such an extent that it still benefits from the switch under new head coach Luis Enrique. The bosses at Real now expect a similar evolution at Real where Lopetegui is expected to slowly renew the squad while at the same time staying competitive in all competitions. Zinedine Zidane was not the only one who left Real. Superstar Cristiano Ronaldo also left the club joining Juventus Turin for €100 million this summer. Cristiano scored 450 goals in 438 games for Real and his contribution will be almost impossible to replace. But even in his absence Real still have world stars in the likes of Toni Kroos, Luka Modrić, Gareth Bale and striker Karim Benzema. Bale and Benzema, in particular, are believed to make a bigger impact as they are now freed from the restriction of having to play understudies to Cristiano Ronaldo. Real Madrid will finish first in the group and will once again challenge for the title. Roma had a fantastic run in the Champions League that was only stopped by eventual finalists Liverpool. 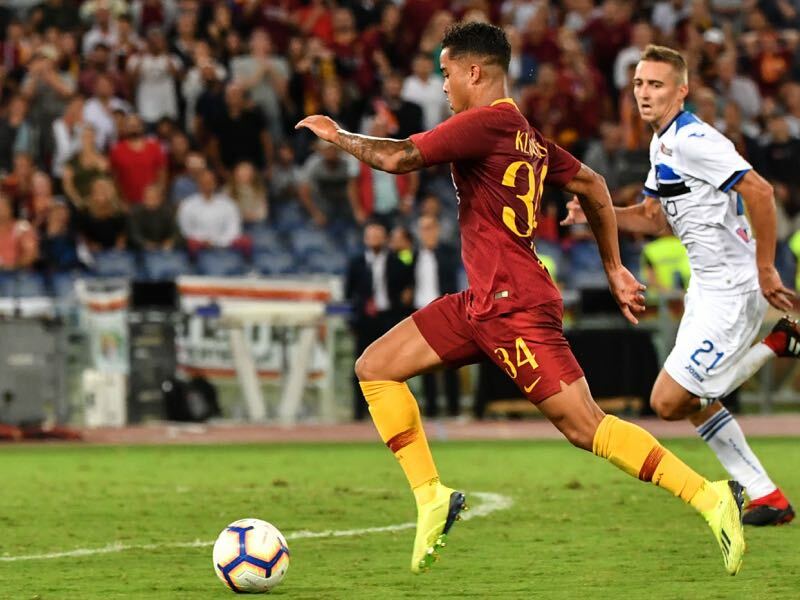 Sporting director Monchi and head coach Eusebio Di Francesco put together an exciting side that benefited from a playmaking goalkeeper in the Brazilian Alisson and hard work ethic coupled with talented young players and veterans that played a refreshing yet compact style of football that was at times unpredictable. Domestically, the club finished third behind Juventus and Napoli and five points ahead of Inter and Lazio. Eusebio Di Francesco sometimes does not get enough credit for his work in Rome. The 49-year-old may be gifted by working together with one of the best sporting directors of our time but at the same time, he also faces the difficult challenge of having to rebuild his side on an almost yearly basis. Even last winter it was not clear whether Di Francesco would be able to hang on to his best striker Dzeko. Nonetheless, Di Francesco has managed to remain a calming influence on the club and after reaching the semifinals of the Champions League was awarded with a new contract that will see him at the club until 2020. Edin Dzeko was already on his way to Chelsea last winter when he decided that he would rather stay in Italy instead. Stayin ended up being the right decision as Dzeko was a key part in Roma’s run into the final four of the Champions League. The striker will remain a key player this season. Another key player, the Brazilian goalkeeper Alisson, however, is gone. In his stead, Roma signed Swedish keeper Robin Olsen, who is still struggling with fulfilling the high expectations. Other key players include legend Daniele de Rossi and newly signed Bryan Cristante, who was excellent for Atalanta Bergamo last season. Up front, Dzeko will be joined by Justin Kluivert, son of former Ajax legend Patrick Kluivert, and the talented Turkish winger Cengiz Ünder. Olsen – Kolarov, Fazio, Manolas, Florenzi – Pastore, N’Zonzi, Cristante – Cengiz Ünder, Dzeko, Kluivert. Roma will challenge Real Madrid for the top spot in the group. After that much will depend on the draw but the quarterfinals should be the minimum. Viktoria Plzen are back in the Champions League after winning their fifth Czech title last season. It was a major success for Plzen given the financial investments made by the two big clubs in Prague, Slavia and Sparta. 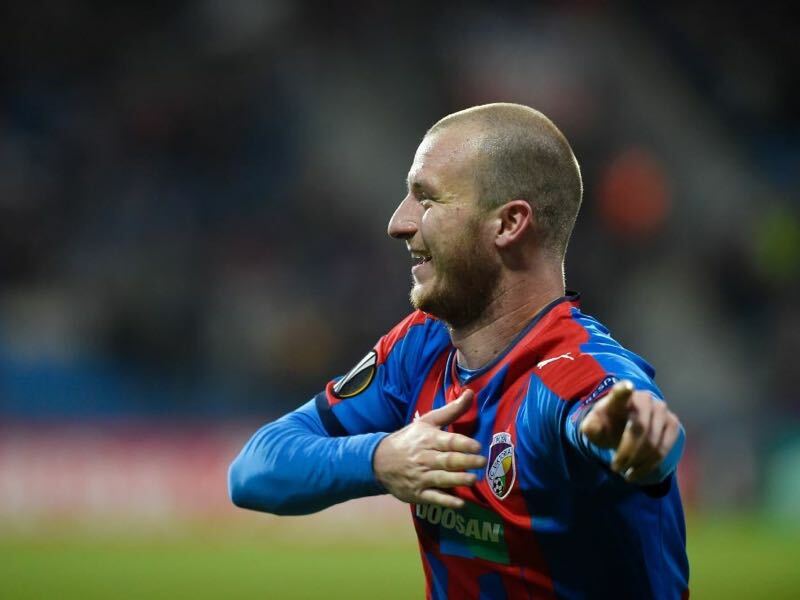 In Europe Plzen also impressed finishing first in their Europa League group they then managed to eliminate Partizan in the round of 32 before being knocked out in the round of 16 by Sporting Lisbon. Pavel Vrba is the father of Viktoria’s success. The 54-year-old head coach returned to the club last summer after stints with the Czech national team and in Russia with Anzhi Makhachkala. Before that Vrba coached Plzen from 2008 to 2013 winning two Czech championships with the club before adding a third title to his collection last season. Defender Roman Hubnik is the leader of the side and the 34-year-old will add some much-needed experience ahead of what will be a tough Champions League Group G for Viktoria. Meanwhile, striker Michael Krmencik has led the club in scoring this season with seven goals in seven games. Viktoria Plzen will finish bottom of the group.